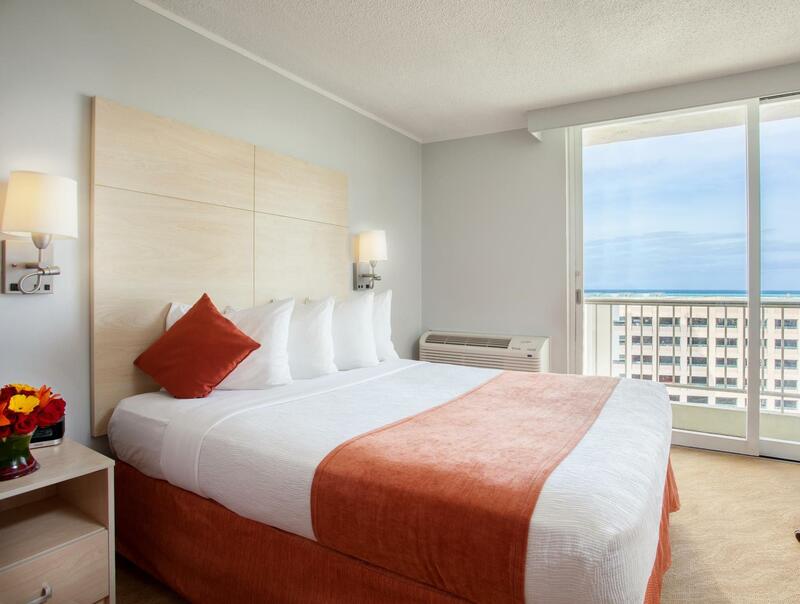 ﻿ Best Price on Best Western Plus Condado Palm Inn & Suites in San Juan + Reviews! Have a question for Best Western Plus Condado Palm Inn & Suites? 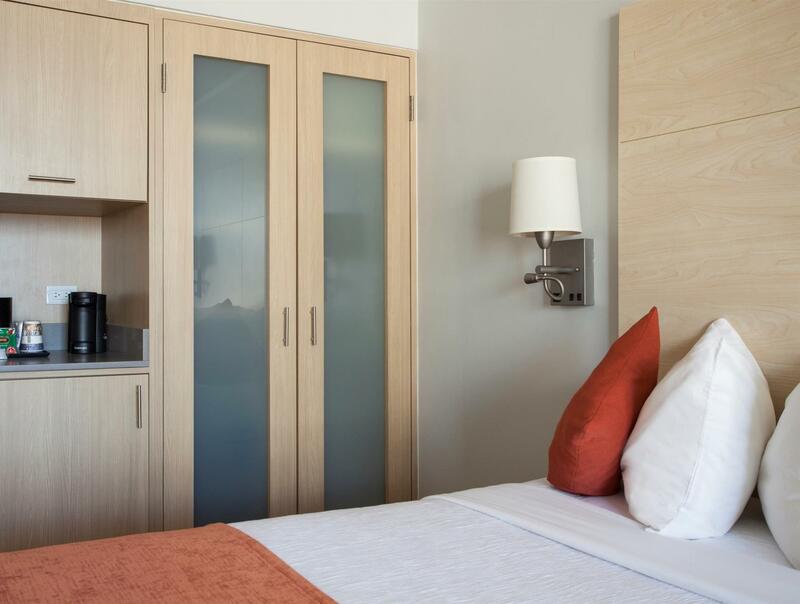 When visiting San Juan, you'll feel right at home at BEST WESTERN PLUS Condado Palm Inn and Suites, which offers quality accommodation and great service. Only away, this 2-star hotel can be easily accessed from the airport. 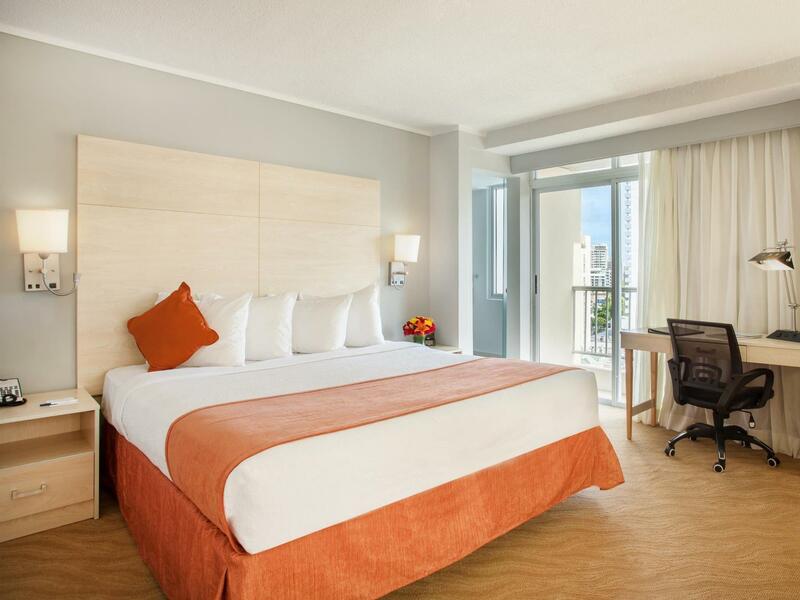 A haven of rest and relaxation, the hotel will offer total renewal just steps away from the city's numerous attractions such as MUTIS Boutique, Ashford Avenue, Condado Beach. 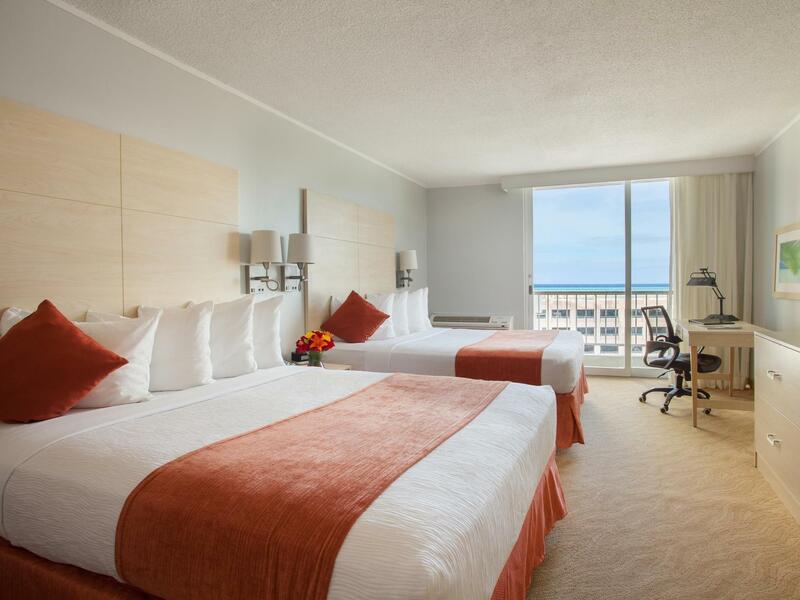 Take advantage of a wealth of unrivaled services and amenities at this San Juan hotel. The hotel provides 24-hour front desk, Wi-Fi in public areas, car park, babysitting, restaurant to ensure our guests the greatest comfort. All guest accommodations feature thoughtful amenities to ensure an unparalleled sense of comfort. The hotel's fitness center, outdoor pool, massage are ideal places to relax and unwind after a busy day. 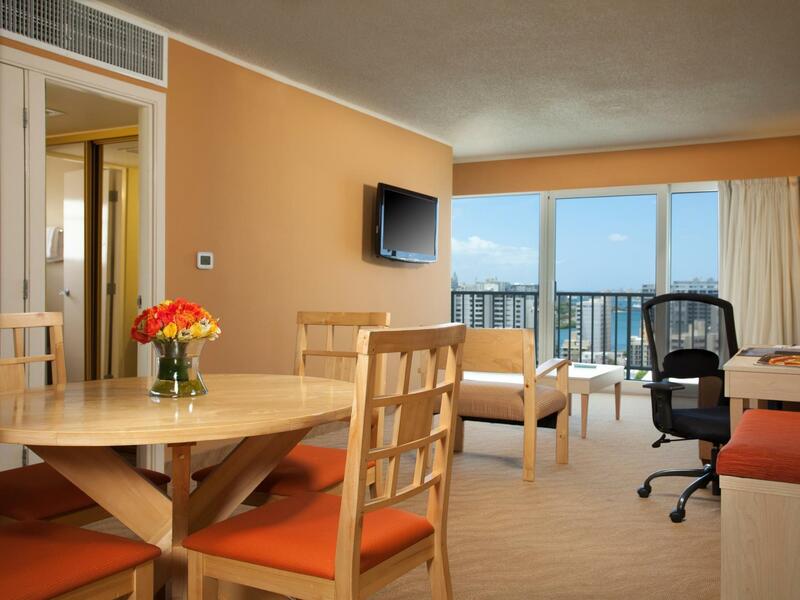 Enjoy unparalleled services and a truly prestigious address at the BEST WESTERN PLUS Condado Palm Inn and Suites. Location was great if you are wanting a beach vacation with so many restaurants nearby. There are also a couple of casinos near by too. This place is a dump. Nothing like the picture posted online. Hallway stinks and whole room smells like bleach and mold. We paid a lot of money to stay here and I regret deeply. Very deceiving. The bed and pillows were even worse. I will never recommend this place, it’s wortless. Had a good stay here for a couple nights in a King room. Giant room with multiple TVs, very large patio, and good condition. Had a little kitchenette as well. Good place to be while I found an apartment in San Juan. travelled with spouse and 2 teens. was upgraded from 2 queen beds to a king size room suite - it had a pull out couch in the living/dining area, small kitchenette, and a big balcony. we were on the north tower (10th floor) and had a small view of the ocean. breakfast was good. but the best thing about the hotel was it's location. beach, shopping (Walgreen across the street), and restaurants were all walking distance. A very good choice for a solo traveler or people who won't spend a lot of time in the hotel anyway. Computers available to check email were great, excellent location, friendly staff, breakfast was nothing special but not bad at all. We stayed on two separate occasions during the course of one week. I had written in earlier about my disappointment with my first night there, but in my earlier comments I had even forgotten to mention that not only was the breakfast poor, we had paid on average US$200-250/night and could bearly sleep since we were kept up my music and what sounded like a nightclub nearby. Although we returned at the end of the week and were quite pleased that at check in someone kindly asked us about our comment about the breakfast (at least it had been noticed! ), it didn't seem to make any difference at all. Unfortunately, nothing changed. Worse of all, we ended up finding a dirty fork in the 'clean' utensils box. I guess if we had paid much less, it would not have mattered, but paying over US$200 for a night, one would expect much more! Despite all this, we still had a wonderful time in Puerto Rico!! I would suggest spending more of your time in Isla Culebra and El Yunque, which is what we did!! The location was great, 5 minutes from airport, just across from beach and a 24hour Walgreens. But for the price we paid, we were very disappointed! The breakfast was motel-like. And they kept running out of things. We had already reserved to stay there again for an additional 2 nights, so we'll see. The staff was friendly and helpful, rooms were great. We only spent the weekend so it was great budget for us. Shuttle service is good. We took it everyday to the sister hotel abd used the facilities there. Hotel food is good but a little pricey. We liked it overall!